This is a killer sauce. After all, what’s wrong with 2 cups of bourbon? 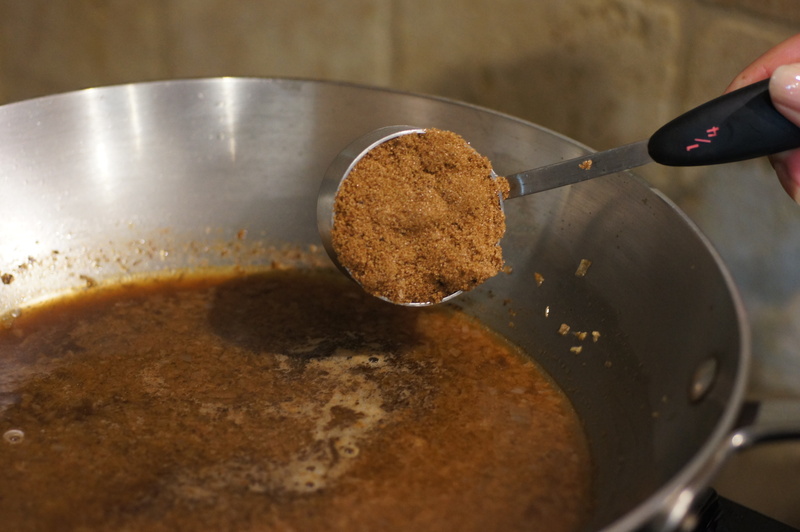 Bourbon goes beautifully with pork, although it will work well with chicken and lamb. Most of our posts concern complete meals or complimentary sides. Every now and then we do something a little out of the ordinary. You see, I love sauces. 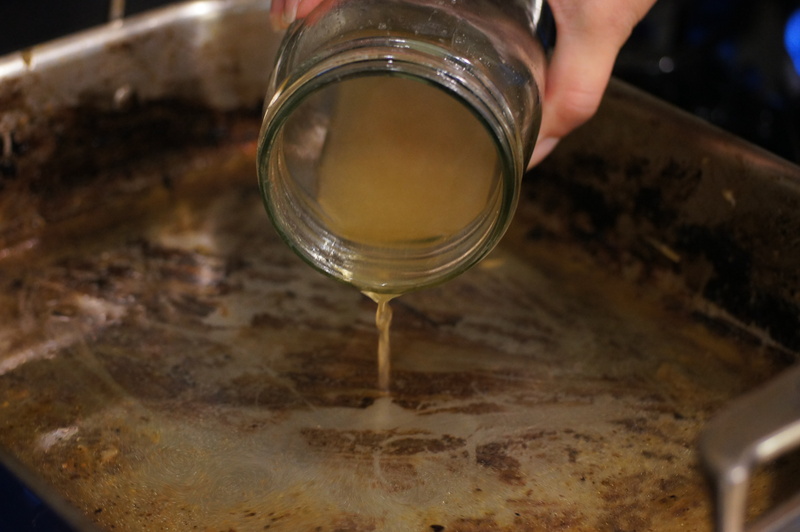 A good sauce will elevate any dish. It will take an ordinary dish to an extraordinary meal. For example, pasta is pasta until you dress it with a sauce. Once dressed with a sauce it is elevated to another level. Then again, take a filet of beef tenderloin. Seasoned and cooked to a perfect medium rare and you soar to unknown heights. 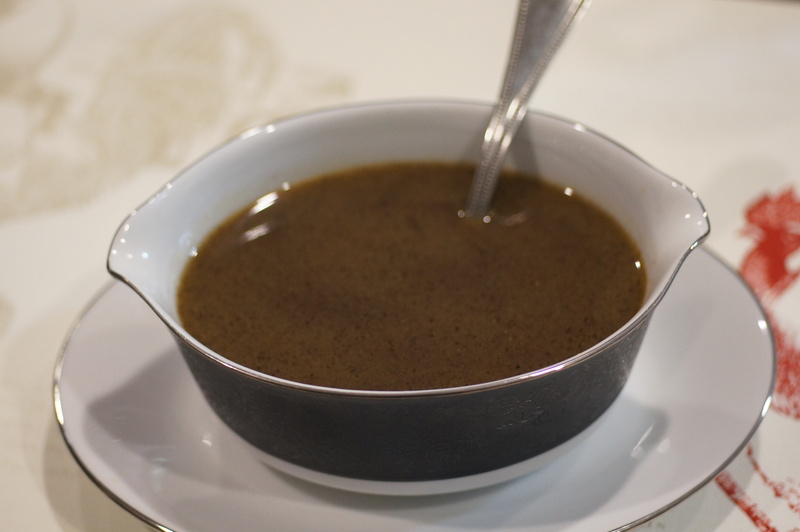 Serve it with a beautiful bordelaise sauce and now you’re in Nirvana. This sauce is no different. It actually was made for a beautiful crown roast of pork last Christmas. 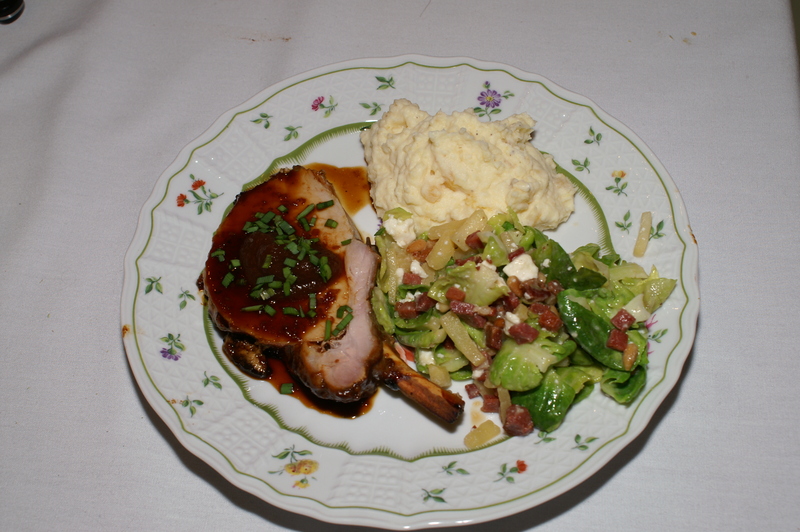 It was so good, we have used it on other pork dishes since then. It works especially well with pork and apples. Not surprisingly, it takes the Crispy Pork Belly Roast with Apples, Fennel & Butternut Squash to a wholly different level. So if you thought the Roasted Pork Belly was unreal on its own, try it with this sauce. The combination truly is to die for and unforgettable. Heat a skillet over medium heat. 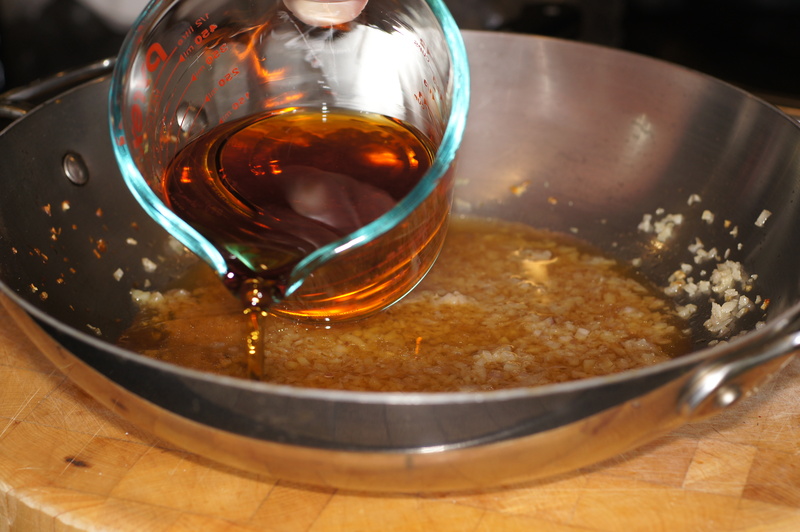 Add drippings from pork to pan. 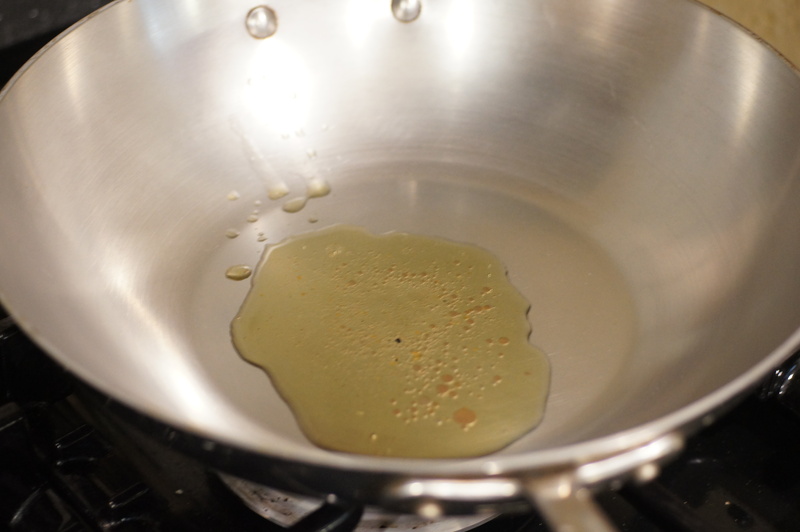 When the drippings reach a glossy sheen, add the shallots to the sauté until soft. Carefully, add the whiskey away from the heat and cook until almost completely reduced. Deglaze roasting pan with 2 cups chicken stock. 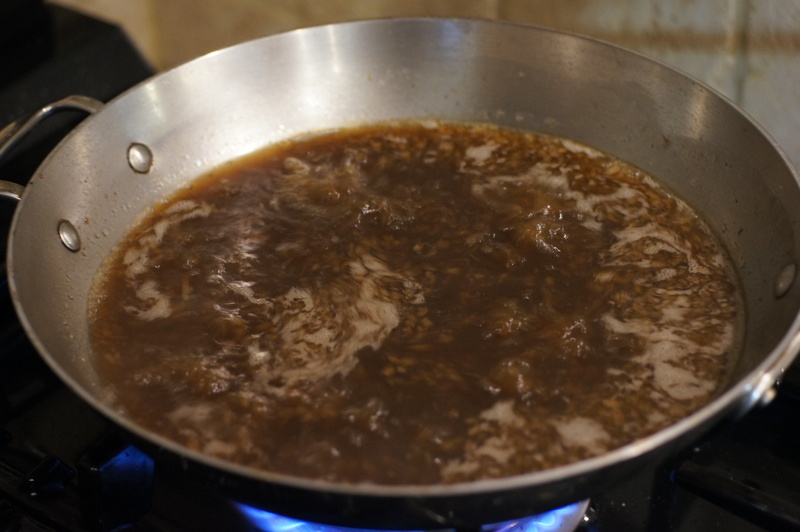 Add the chicken stock and deglazing liquid and brown sugar to the shallots. Bring to a boil and cook until reduced by half. Mix one Tbsp corn starch with 1/4 cup water. Add to sauce to thicken. Strain through a fine sieve pressing on the shallots to extract all of the liquids. 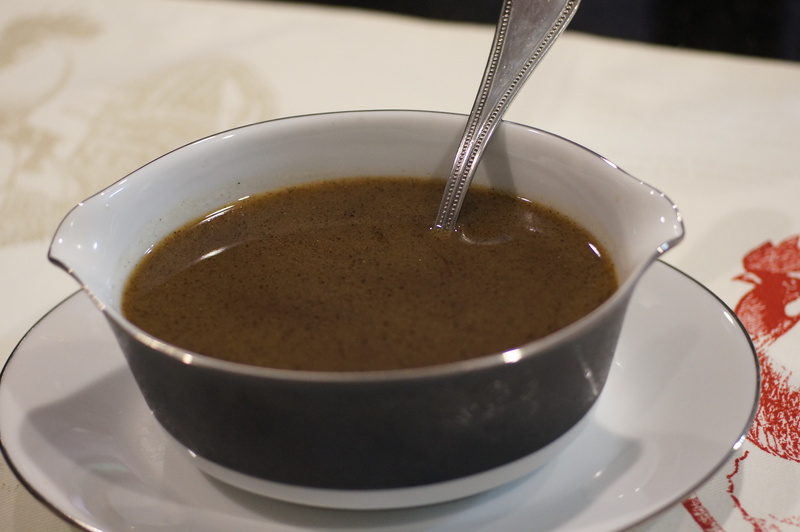 Put in a gravy boat, serve and enjoy. Love this! I’m all about sauce with food and lots of it! I agree with you that sauce does elevate a dish from good to outstanding. Now I’m looking forward to cooking pork with some of our apples and using this sauce. Thanks for your very nice compliment. You make look so simple. I bet it is delicious. I can definitely see how this would go so well with you pork belly recipe, Richard. Looks like I’ll be making both this WInter. Thanks, again. Thanks, John. We’re glad you liked it. It must be tough having a booze lovin’ dog. 😉 I actually had a Weimaraner once that would drink my bourbon if I got up and left it sitting for any length of time. There’s something about corn whiskey and dogs. This looks amazing; however, 5 cups of stock seems like it would make a lot of quantity. Do you know if the recipe works well with you just halve everything? Thanks for the compliment. It will work fine if you halve the recipe.